It’s bordering on politically incorrect to say it, but here goes. You should get a tablet. You’ll use it, probably more than you use that dusty old PC in the spare room. I know, I know, tablets were the hit product of 2010 and then the world moved on. I understand not wanting to move backwards. But given the amount of time you spend looking at a screen, shouldn’t it be the right one? Let’s take a look at the arguments. Phones got bigger but did they get bigger enough? The average phone back in 2010 had a screen roughly 4.5″. Many had screens smaller than that. Today’s phones are 6″ or more in size, with some getting closer to 7″. That’s a pretty gargantuan piece of metal to keep in your pocket, but when it comes to watching videos or getting on the internet, that’s still not very big. A phone just isn’t a really good media consumption device. The screen is just too small. On top of that, you use your phone for texts, web, whatever… (sometimes even phone calls.) If you’re watching a video you don’t want to stop that. You just want a second device. And that’s what a tablet is. Tablets make sense now, as much as they ever did, but only now are we beginning to realize that it’s not the tablet we need to push out of our lives, it’s the laptop. Today’s tablets are more powerful than laptops from a few years ago. They let you type with ease with Bluetooth keyboards. They’re as secure or more secure than PCs. If you use a laptop for business that’s great but really, there’s practically nothing you can’t do with a tablet instead. There are now four really good options for tablets. They’re so good that it’s coming down to being a personal choice, not a matter of capabilities. 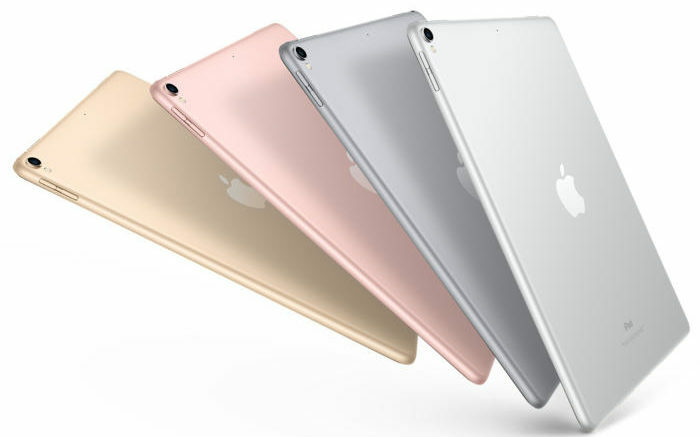 The iPad has long been the gold standard for the tablet experience, but it comes at a gold price. Although used ones are easy to find and there is a $399 version now, it’s awfully tempting to slide up to those higher priced models. The experience is slick and familiar, especially if you’re an iPhone person. If you’re deep in the iTunes ecosystem you’ll find all your stuff there, too. This is a new option for tablets based on those popular Chromebooks. If you haven’t seen a Chromebook, you probably haven’t been in a school recently. They’ve taken over because they’re just simple web devices without all the problems of a traditional PC. Built into a tablet form factor, it’s a super-easy and super-reliable product. Chrome OS tablets are rising in customer awareness, while Android tablets are falling. You would think with Android being the dominant operating system for phones, that they would also have a strong presence in tablets. Truthfully, only Samsung has managed to do anything with Android. Most Android tablets are sub-$100 specials from companies you’ve never heard of. They’re more frustrating than they are worth. Led by Microsoft’s surprisingly-serviceable Surface tablet, Windows tablets give you complete flexibility but also a lot of the typical Windows baggage. If you absolutely positively need to do everything that a laptop does, this will do that. However, you can also catch viruses and get caught in reboot loops. Do you need a cellular connection? Some tablets will let you connect to a cellular network. This is nice if you’re going to use it a lot while traveling but it’s not mandatory as long as your cell phone has a tethering option. Personally I lean toward the iPad because Apple has the formula completely figured out. The App Store is robust and safe, and the products just work. Even if you’re not an Apple user it’s hard to go wrong. If you hate all things Apple, look at the Chrome OS tablets. If you can do it in a browser, you can do it with Chrome OS. Simple as that. They’re less expensive and dead-on reliable. Once you have your tablet, shop for the best accessories, only at Solid Signal. Should you worry about maintaining your DVR’s hard drive?